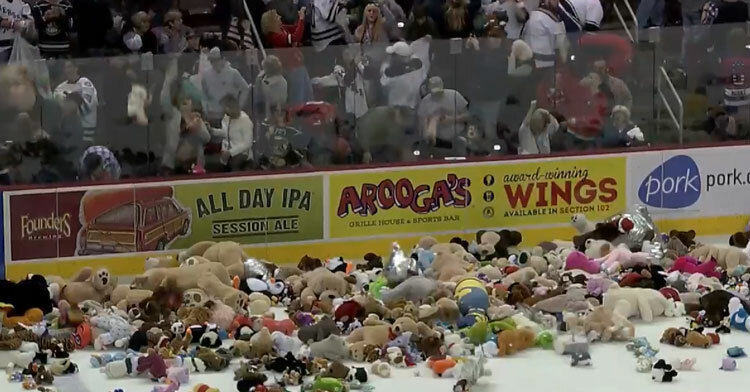 Hockey Fans Throw 35,000 Teddy Bears For Needy Kids Onto Ice In Jaw-Dropping Video. 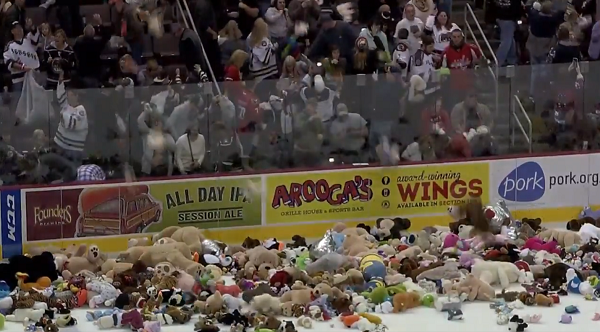 The Hershey Bears scored the first goal in the big game against the Binghamton Devils, but fans of both teams got into the fun at the annual Teddy Bear Toss in Hershey, Pennsylvania. In fact, fans got so into the charitable event, that at the end of the game, 35,000 stuffed toys were collected to give to needy children. Every year, the American Hockey League organizes a toy drive before the holidays called the Teddy Bear Toss. 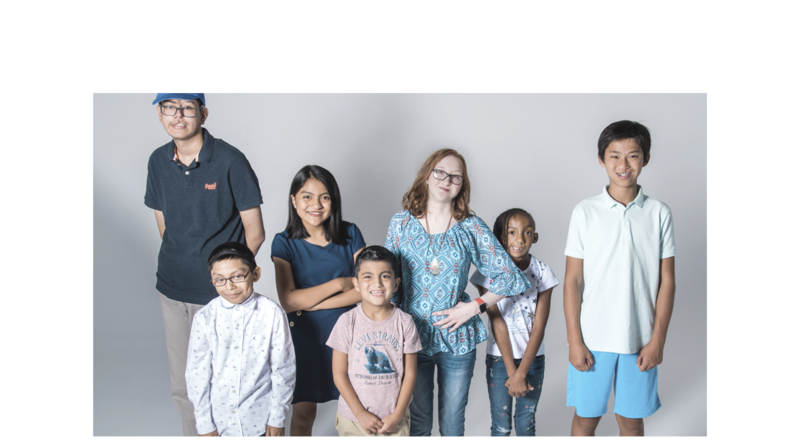 Fans come to the game armed with new stuffed animals to be distributed among 30 different charitable organizations, all of which directly benefit children in need. 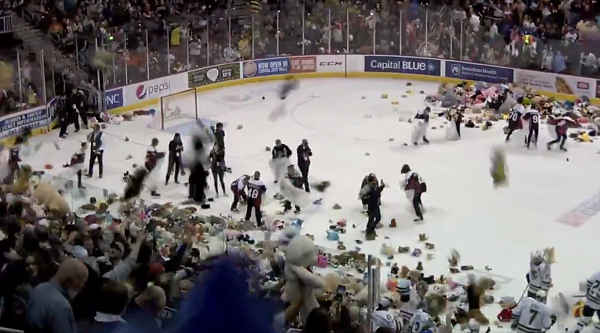 As soon as the first goal of the game is scored, fans are encouraged to toss their gifts down onto the ice below, creating a chaotic but oddly beautiful scene as thousands of teddy bears rain down on the excited players below. 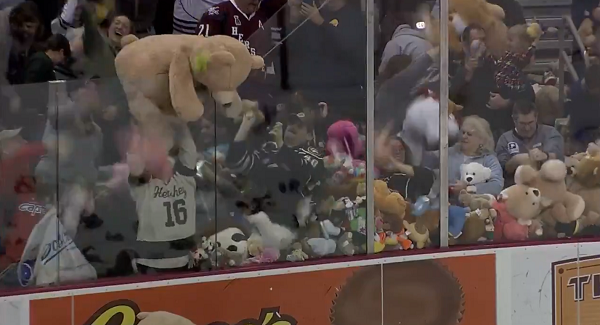 This year, it was Hershey Bears winger Riley Barber whose goal hit its target and started the flurry of teddies. Fans of both teams worked together to throw the plush toys over the glass partitions and onto the ice, and just seconds into the event it was clear that these fans had gone above and beyond in the donation department. Fans brought so many stuffed toys with them, they wound up setting a new record! In all, 34,798 stuffed animals landed on the ice, all of which will be given as gifts to kids this holiday season. Not only will the kids be thrilled with their stuffed toys, but the Teddy Bear Toss event also brought in tens of thousands of dollars in monetary donations throughout the game. Pennsylvania charity CommunityAid will also donate 50 cents for every stuffed animal thrown (up to $15,000). Incredibly, an anonymous season ticket holder also pledged $1 per stuffed animal too. It’s truly heartwarming to see people coming together to donate in this way. Not only is the game fun to watch, but seeing thousands of fans toss out stuffed animals that will be loved and snuggled by needy kids is like a balm for our bad-news-fatigued souls! Also, there’s something beautiful about watching fans in different team jerseys working together for a great cause. It’s a visual reminder that no matter what, we’re all on the same team. Watch the record-setting Teddy Bear Toss in the video below, and be sure to spread the love and share this story.